I charge $245 a month which includes a Training Peaks account and I require an initial 3 month commitment. I also offer one-on-one sessions in swim/bike/run/transition for my coached clients at $80 a session. I charge non-coaching clients $100 for one-on-one sessions. I also offer non-coaching clients a stroke development swim package of 5 sessions for $400 and a running development package of 3 sessions for $240, and bike fits for $200. In the last sixteen years as a USAT certified coach, Training Peaks Level 2 certified coach and Slowtwitch certified power coach, I have helped my athletes achieve their goals which have included 72 Ironman finishes, 51 marathon finishes, and personal bests including gold and silver medals at World Championships, National Championships, overall race wins, numerous age group wins, Ironman Hawaii finishers and podium finishes. 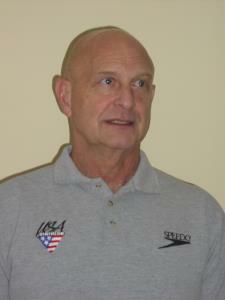 Additional, I have coached for the last several years the USAT 2009 & 2011 Paratriathlete of the year. My goal is to make each athlete feel that he/she is the only athlete I coach: to do that I specialize in developing individualized training schedules that fit my athletes' life schedules, and I am available almost 24/7 to support their training. My personal experience includes 2 Ironman’s, 3 Chesapeake Bay Swims, 17 Marathons, and over 150 Triathlons. Highlights include qualifying for and finishing the Hawaii Ironman, over 40 age group wins and three times being a member of Team USA. Success. Coach Alan Melvin has been notified of your message.